Kaiseki meets wagyu. 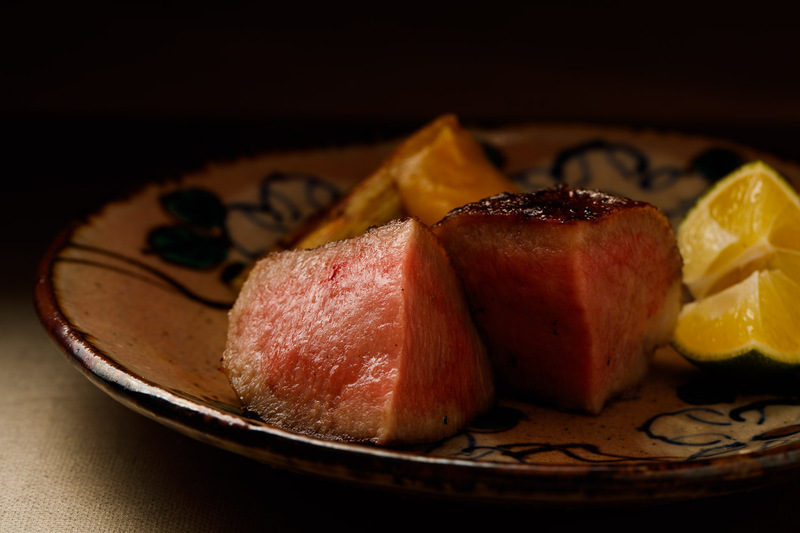 Breaking old molds, the young chef of Towa stages Japanese beef at the heart of his seasonal menu. 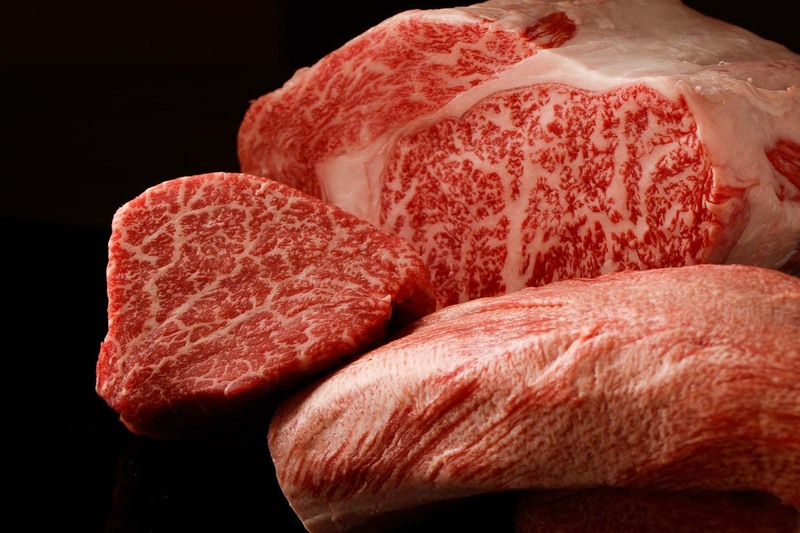 With a deep passion for meat, he handpicks premium-ranked cuts from not only Kobe but also top ranches in Tajima, Hitachi, Sendai and Nozaki. Despite the classic foundation, the memorable recipes are original in approach and unforgettable in flavor. Tucked away in a narrow side street off Nishi Azabu crossing, there are no signs that guide you to the hidden restaurant. Look for a little elevator next to a kimono store and take it to the second floor. You will find a door, again with no signs, and push it open while hoping you have the right address in your hand. Instantly, you feel a sense of relief as you step inside. The restaurant is surprisingly spacious despite its prime location. 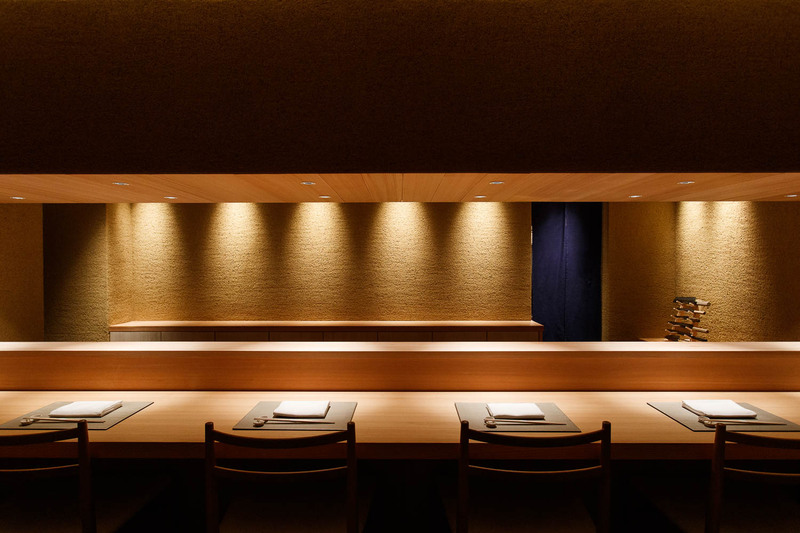 The decor is modern and minimalist while founded on classic Japanese aesthetics. The creamy ocher walls add a sophisticated ambiance while the subtle flower arrangements offer a seasonal welcome. A large wooden counter stretches across the open space that seats only six guests. Over the flat surface, your eyes can follow the chef’s skillful moves as he refines each dish. There are also two private rooms in the back. The name Towa takes the first character of Chef Takaaki Tsuneyasu’s given name, with a play on word with the Japanese phrase for forever. Despite just 35 years of age, he is praised for his creativity and technique. Trained at top establishments like Kanda and Kikunoi, he has an eye for sourcing rare ingredients and finding ways to maximize the food’s potential. He selects meats that are in their best condition from premium producers across Japan. Also a lover of antique tableware, he has collected a number of beautiful pieces over the years, mainly from stores in Kyoto. 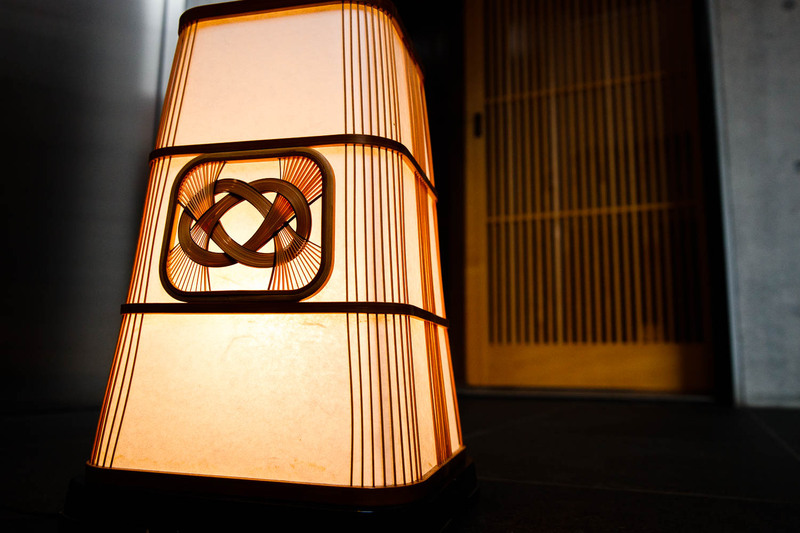 The chef’s omakase menu is comprised of about a dozen seasonal dishes. Based on traditional foundations, the style is strictly Japanese with the meal starting with small and light appetizers, followed by soups, grilled dishes and a rice dish. The only difference is that at Towa, the meat dishes make up about a third of the courses. 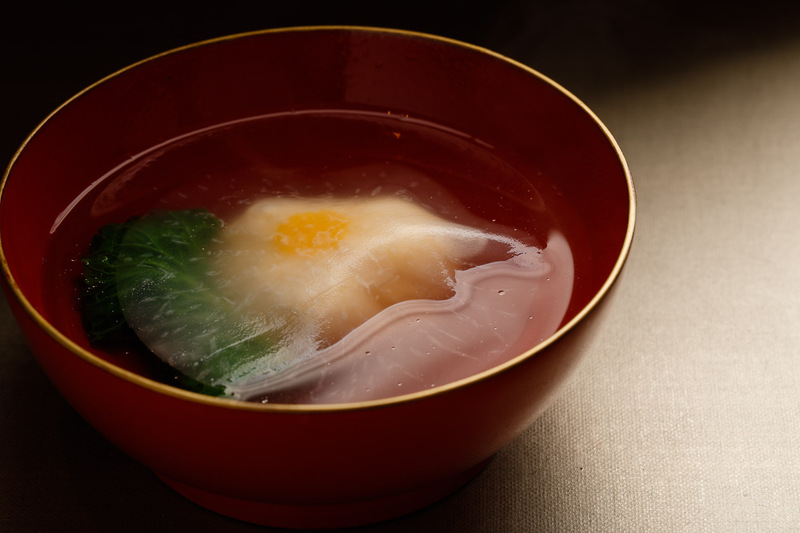 Despite his passion for beef, the soup is still crucial for the kaiseki chef. “The soup is an important dish for me as it allows a moment to come face to face with the guest,” Tsuneyasu says as he stands in front of each guest and hands the warm bowl over with both hands. 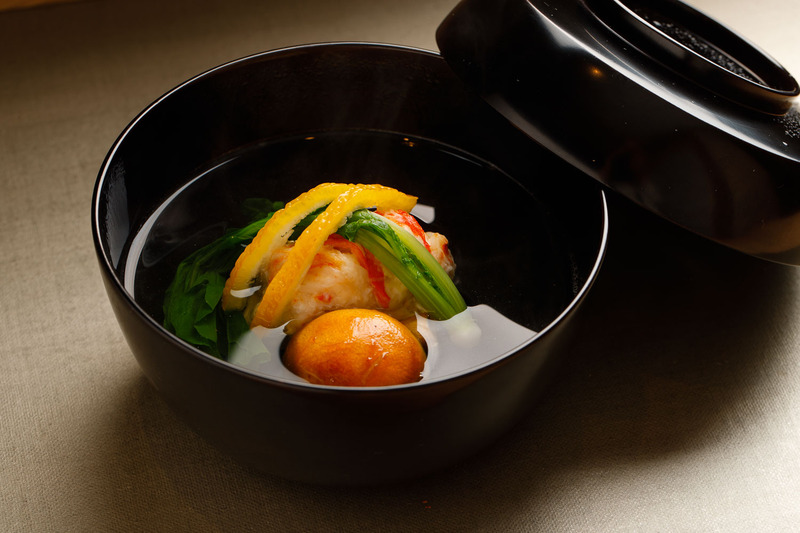 The first of the two soups is a beautiful bowl of crab and lily bulb dumplings, yuzu citrus and giant nameko mushrooms. The mix of seasonal aromas is simply divine. The clear base soup is elegant and deep in umami, made using premium kombu and honkarebushi bonito flakes. The second soup is a wintery taste with a dumpling made of fresh scallops. A thin sheet of daikon radish is draped over the white dumpling, making it look like a delicate layer of ice over a pond. There is also an element of surprise in Towa’s cuisine. The spring rolls are a classic example. The chef comes up with original recipes using unusual ingredients like oxtail and tomatoes. He also has thought of a fun way of serving as he wraps the rolls in front of the guests and hands them right over the counter. The main dish is a secret katsu recipe that the chef mastered during his days at Kanda. 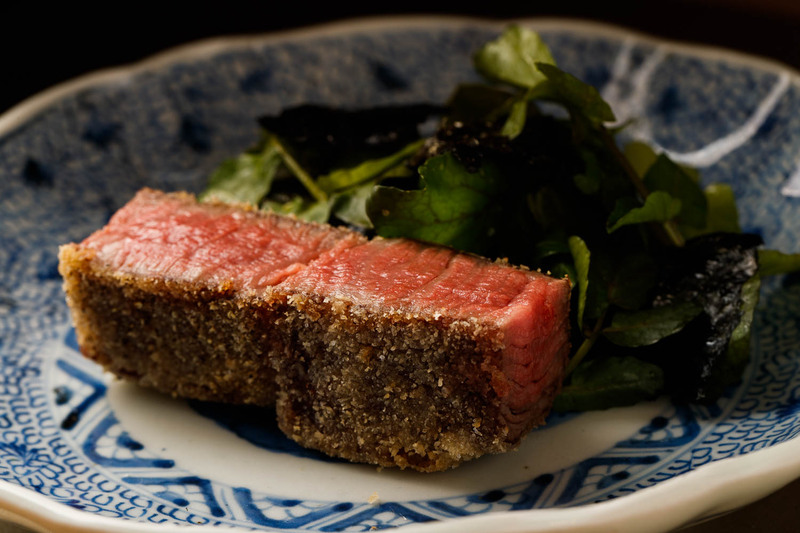 Using Chateaubriand steaks of Hitachi beef from Ibaraki Prefecture, he first slow cooks the meat over charcoal. Then he batters it with very fine bread crumbs and double fries it in hot oil. While hot, he shaves slices of truffles on top and tosses some watercress and dried seaweed for the final touches. Every part of the beef has its own character and should be cooked using different methods and techniques. For example, the root part of the tongue is grilled for close to half an hour over crackling charcoal. Cooked to perfection, the inside is that beautiful juicy pink. Besides the assortment of beef, he incorporates seasonal delicacies into the menu, like bamboo shoot in the spring and crabs in the winter. 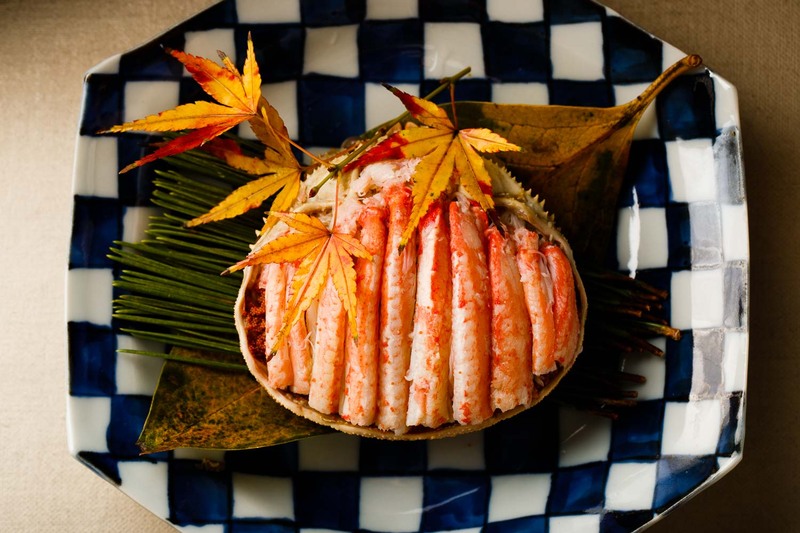 As a winter appetizer, plump meats of Seiko snow crabs are packed generously in the shell. The chef prefers larger ones for better texture. There’s no need to add much to it but just lightly drizzle the rich and creamy liver sauce. The little rice bowl that follows is a beautiful union of the seas and the hills. 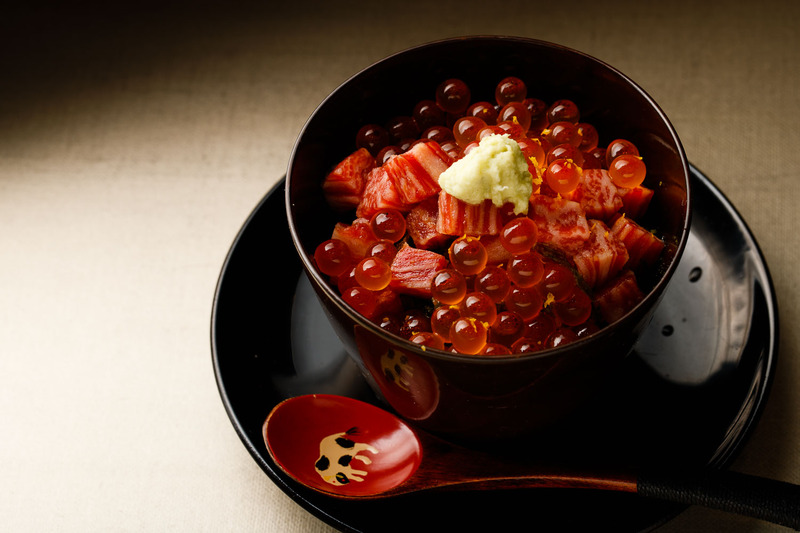 On top of a warm bed of sushi rice are chunks of soy-marinated bottom flap, a delicious part of the rib area, and ruby-like balls of salmon roe. Dressed with hints of wasabi and yuzu citrus, enjoy the different strands of flavors come together in your mouth. 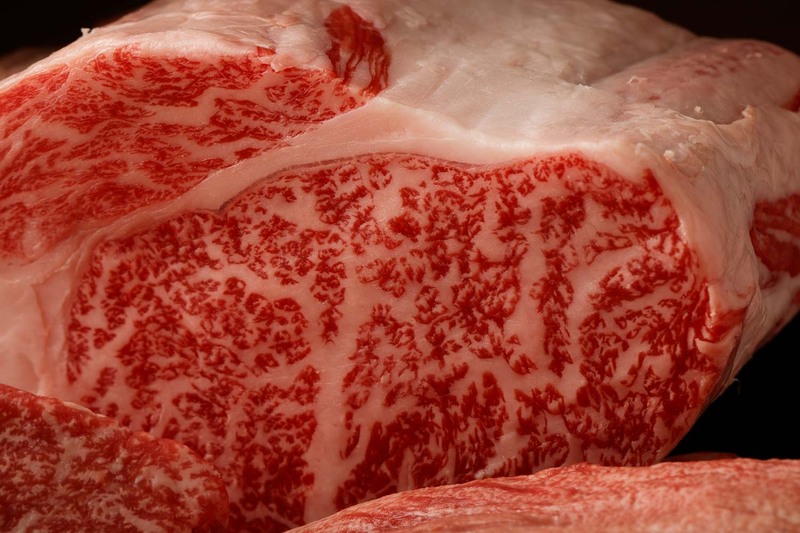 Kobe, Tajima, Hitachi, Sendai and Nozaki—Tsuneyasu sources from all the top ranches across Japan, and he doesn’t compromise on quality. His philosophy is consistent across other ingredients including fish and vegetables. 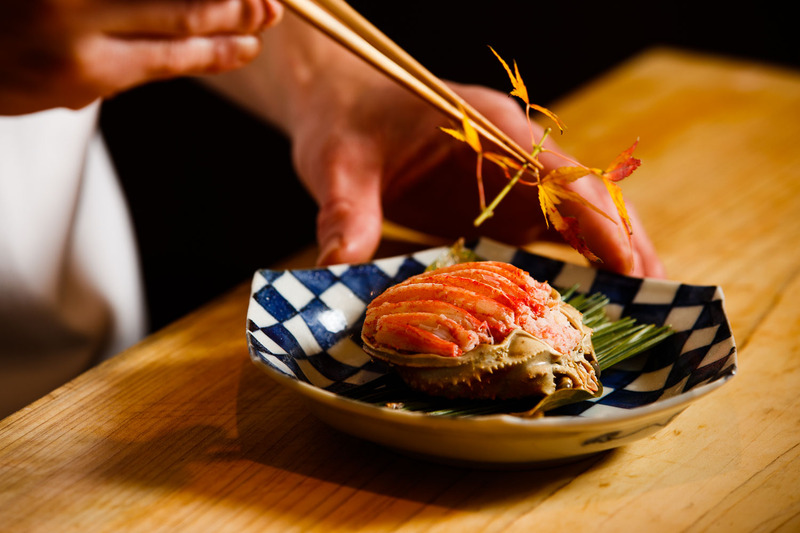 He particularly likes Matsubagani, mature male snow crab, caught off selected ports like the Oki Islands. The salmon roe needs to be extra large and juicy. He also has found a domestic grower of black truffles, which, compared to imported brands has a more subtle aroma that goes well with Japanese flavors. The rice is a koshihikari grain from Sanjo in Niigata Prefecture, with the vinegar from Fuji and wasabi from Gotemba. To match the selected ingredients, the selection of sake is equally exclusive. The restaurant stocks about 15-20 vintages including rare finds like Kokuryu Muni, a new brand that became very popular in 2018 for being the first to use French wine maturation techniques in sake making. Some bottles auctioned for as high as 200,000 yen. Takaaki Tsuneyasu was born in Okayama Prefecture in 1983. As a young boy, he loved to go fishing with his father, especially for black basses. When he was in high school, he began working at a little sushi restaurant to earn some money, which sparked his interest in food. He also helped out at a tonkatsu, fried pork, restaurant where he discovered his obsession with meat. Without much hesitation, he enrolled in Tsuji Culinary Institute in Osaka. It was when he came across an article about a famous restaurant called Ogata in Kyoto and its winter gourd soup, he was instantly drawn to the simplicity of traditional Japanese cuisine. “The soup, served in a plain black bowl, was so simple but so powerful,” he says. After graduation, he began his training at Kikunoi in Akasaka. He later joined Kanda, a three-star Michelin pick in Moto Azabu, and mastered the basics of Japanese cuisine over the next seven years. He also was a part of the opening of the Japanese restaurant Hanawa in Paris. While specializing in traditional Japanese cuisine, he always loved eating meat. It was only natural for him to pursue his own style that married his two passions. He even spent some time at the famous Korean BBQ restaurant Shimizu to deepen his knowledge about beef. At home, he is a dedicated family man and enjoys spending time with his wife and their 1-year old. He loves to cook food for them, including baby food. The most important mission for the young chef is to make his guests happy. He is dedicated to perfect the cuisine at Towa while continuing to train his staff and apprentices. Some day, he is drawn to the idea of going back to his home in Okayama Prefecture to run a local restaurant there. 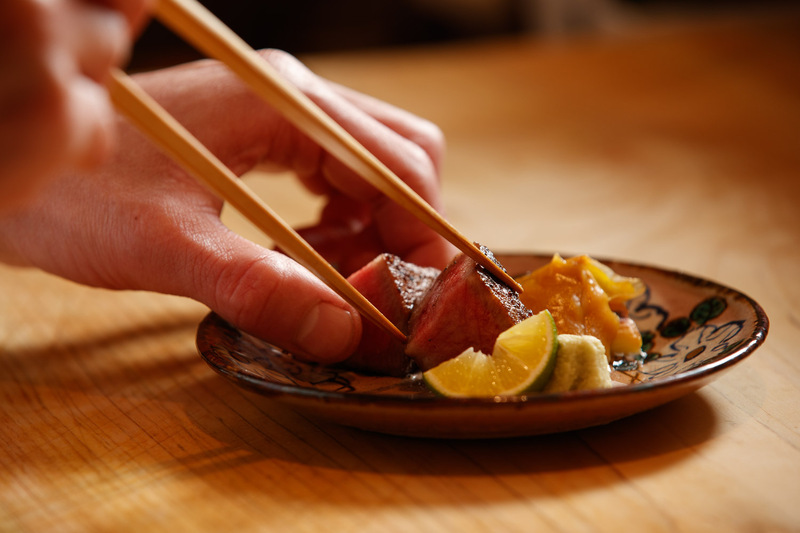 With so many top ranches to choose from, Tsuneyasu makes his selection based on the meat’s condition. He also likes to be selective on the cut and chooses from a wide range of sections including tenderloin, fillet, Chateaubriand, ribs, tongue, and zabuton (chuck). Always a meat lover, he has studied many different ways of eating meat. But he feels strongly that kaiseki is the best style for him to convey the hard work of the producers. He wants to make sure that his cuisine reflects their dedication. It’s important for him to keep a close relationship with key producers to ensure he can get his hands on the best cuts.